Find Brighton, CO Homes for sale. View Photos, Maps and MLS Data Now! Todd Creek Farms - Buyer to verify all information. Professional Photography-color enhancement. MLS#3069162. Colorado Safari Properties, LLC. Riverside - Over one-acre lot allows for outbuildings. MLS#7957482. The Principal Team. Front and Back Yard Landscaping Included with this Brand New Home! MLS#2223849. Madison & Company Properties. This home is in a great location with easy access to grocery shopping, highways, and many nearby parks. 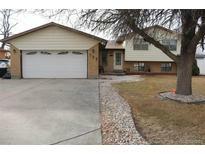 MLS#8232476. Brokers Guild-Cherry Creek Ltd..
New Community Center in 2019 with 2 pools, Fitness Center, 17 acre park and more! (https://www.youtube.com/watch?v=BCzPlq4_kek) Welcome Home! MLS#5496371. HomeSmart Realty Group. The Preserve - Don’t miss out on this remarkable home! MLS#9418052. RE/MAX Momentum. The Seller is moving out of state and is ready for a Quick sale and possession. MLS#7706629. RE/MAX MOMENTUM. Sugar Creek - 3rd bedroom on main level can be used as a study. MLS#8285189. RE/MAX NORTHWEST INC.
Walnut Grove - See you at closing!! See virtual tour! ! MLS#4589483. RE/MAX ALLIANCE. South East Brighton - The home has been updated with new carpet on the upper floor in all rooms and newly painted. MLS#4420099. UNITED IMPERIAL ROYALTY SERVICES. Hurry to see this one for yourself! MLS#8514296. RE/MAX ALLIANCE. There is easy access to I76, shops and DIA. MLS#2448197. Resident Realty Colorado. Finished basement could be used for a non-conforming bedroom. So much space! No HOA. MLS#4103333. Gardner Realty. Well maintained and ready to move in. New roof in 2018. MLS#4534569. Berkshire Hathaway HomeServices Innovative RE. Platte River Ranch - Great location close to shopping, bike paths, playground, fishing ponds & hwy.85 access. Hurry before it's gone! MLS#9782978. Keller Williams Realty Downtown LLC. Indigo Trails - Plantation shutters * Security System * Energy Efficient Home * Surround Sound * 2.5 Car garage * Maintenance free back yard with drip system & extended stamped concrete patio * Absolutely immaculate! Must see to appreciate * Hurry! MLS#8949861. Home Team Advantage. Priority Enrollment Into Bromley East Charter School, Easy Access To I-76, Close To Shopping, Restaurants And More! MLS#6774258. MSC REAL ESTATE ADVISORS. Brighton East Farms - 3/4 Bath with a urinal and a toilet, also crawl space for storage, etc. MLS#3830607. THE REAL ESTATE BROKERS OF CO.. This Home is Located in the Perfect Family-Friendly Subdivision of Bromley Creek. Close to Parks and Schools. MLS#3973131. HomeSmart Realty Group. Brighton East Farms - Don't miss out on the opportunity to make this place your own! MLS#2821554. COLDWELL BANKER RESIDENTIAL 02. Hayesmount Ridge Estates - It also has a finished 4 car garage and multiple covered patios for outdoor use. MLS#9853983. DAY AND COMPANY INC.
Todd Creek Farms - Washer and dryer included. Up to two horses allowed. MLS#2848181. MB THE LEICHT SOURCE REALTY LLC. Large storage shed; concrete patio with retractable awning; new roof; new HWH. MLS#5961741. RE/MAX Alliance Northeast. Hayesmount Ridge Estates - Laundry hook up in both; main level and basement. MLS#3759167. Brokers Guild Classic. Enjoy beautiful evenings gazing at the mountains on the back deck or hanging out in the professionally landscaped back yard with stamped concrete patio. MLS#7338559. Madison & Company Properties.